Marbella Centre is the place to buy your dream house. There’s always something to do and everything is designed for only the best. Living in the heart of a city is a great way to try new things. With all amenities within walking distance, Marbella Centre offers a multitude of experiences and you will not want to live anywhere else. Not convinced? Why is Marbella Centre the best place to live? Here are five reasons why you should be living in Marbella. One of the most obvious advantages of living in the heart of Marbella is that everything you need is a convenient distance away without using a car. From Marbella Promenade, just five minutes walk away or to Puerto Banús, just ten minutes by car with the exclusive luxury shopping. 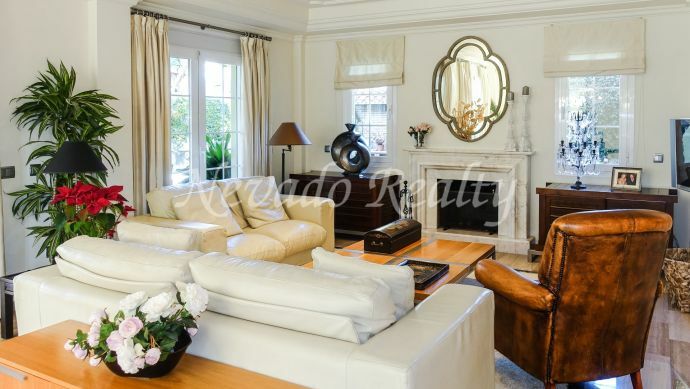 Marbella centre is close to golf courses, sports and leisure, national and international schools, shopping centres, Marbella Club and Puente Romano Hotel. The wonderful climate of the Costa del Sol enables families to spend a lot more time outside. Marbella enjoys 320 days of sunshine per year and very little rain. This means that instead of filling rainy days shopping at the indoor mall or staying inside sat on the couch, kids can get out and be active. There are so many sports on offer here including golf (the Costa del Sol has more than 70 golf courses), tennis and padel, football and netball, horse riding, watersports and even skiing in the nearby Sierra Nevada mountain range. Even when not taking part in activities there’s so much to do, from building sandcastles on the beach and swimming in the pool, to playing in the plentiful community parks and playgrounds. From pleasant walks at the Marbella Promenade to beach clubs to museums to galleries to gardens and everything in between, Marbella is plain fun. Don’t feel like cooking yourself? There’s plenty of choices. If you love good food, then you can eat your heart out here. Restaurants in Marbella offer something for everyone with various cuisines, of which the Spanish cuisine is, of course, the most prominent. You’ll find the best restaurants on the beach promenade Plaza de los Naranjos and in the idyllic old city centre of Marbella. Need to meet a friend or a potential romantic interest? Marbella centre is a great place to do it! There are a lot of bars where you can get to know like-minded people. From wine tastings at corner haunts to fitness groups, no matter your interests, you can find a social gathering where you’ll connect with others while doing what you love! Having endless dining options means never getting bored of what you eat and always have a chance to try something new. If you are looking for privacy, tranquillity and live close to everything, Huerta Belón is your place. 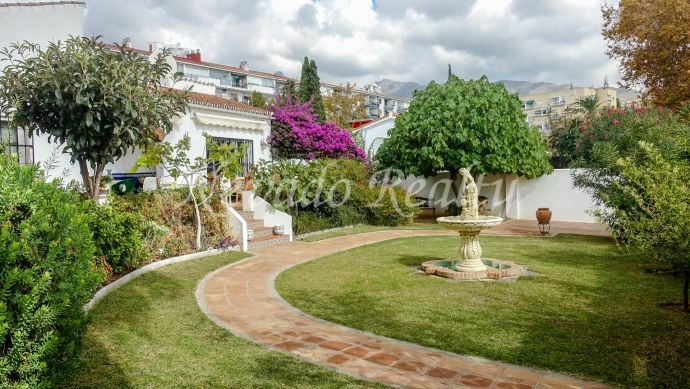 A very sought after and a well known residential area in Marbella Centre close to everything. Huerta Belón is close to the old town, shops, services, public and private schools as well as the promenade and the beach. Living in this a sought-after area of Marbella Centre is ideal for families without the need to drive. 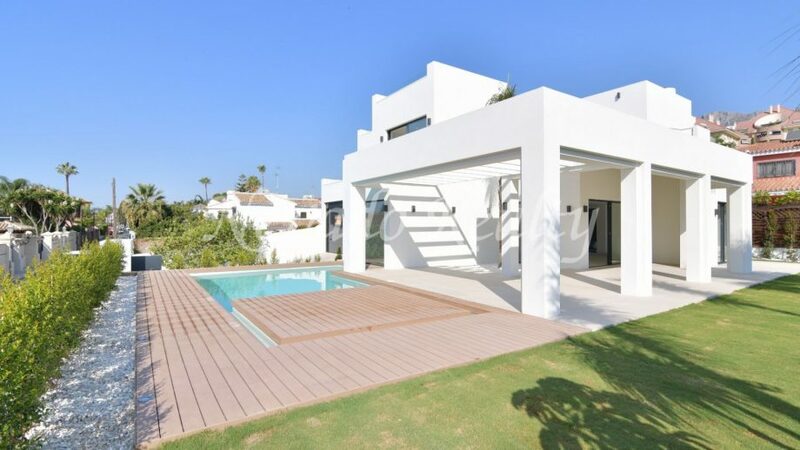 This brand new villa for sale in Marbella Centre with sea and mountain views is a perfect home to enjoy a natural environment with all the amenities inside and outside, for all year round living to vacation periods. This modern style villa which has recently completed its construction includes 400 m2 built on a plot of 600 m2 which facing south and overlooking the sea from its terrace and solarium. A house in excellent condition, ideal for families, near the city centre enjoying privacy and tranquillity. Evenings in Old Town Marbella are enchanting with the mix of jasmine and orange blossom in the air and the sound of flamenco music in the distance. Old Town Marbella is always bustling with tourists and locals strolling down its winding narrow roads offering many temptations to take a break at any of the quaint restaurants or cafes to relax and watch the world go by. 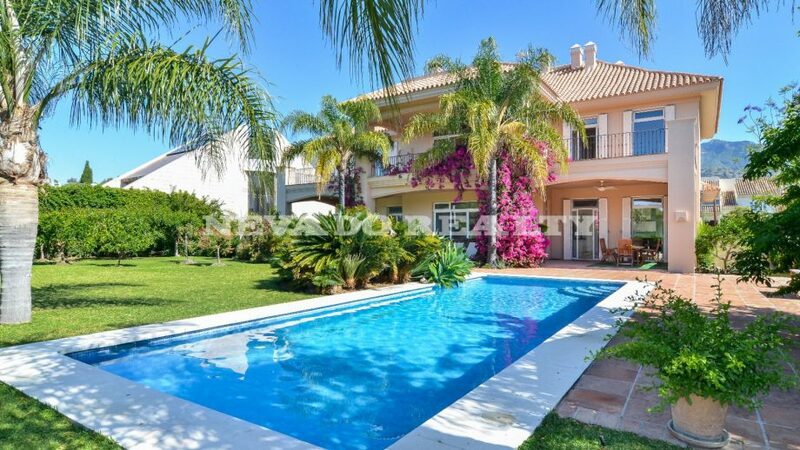 Do you need more reason to buy a property in Marbella Centre? Do not waste more time and contact Nevado Team to arrange a viewing tour of exclusive properties.